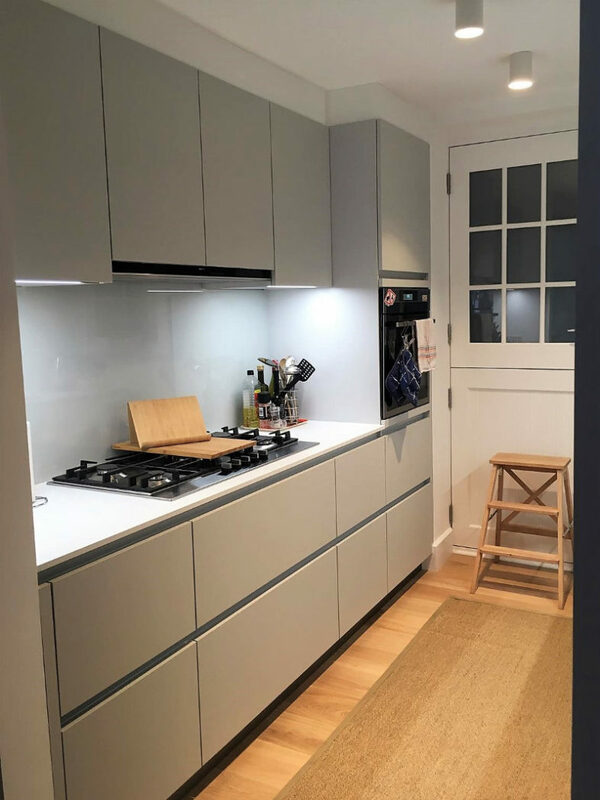 A big thank you to Julia Moss for sending us these excellent photos of her beautiful new Next 125 kitchen. All the units except the island are in Crystal white high gloss lacquer finish with the island contrasted in Lava black satin lacquer finish. 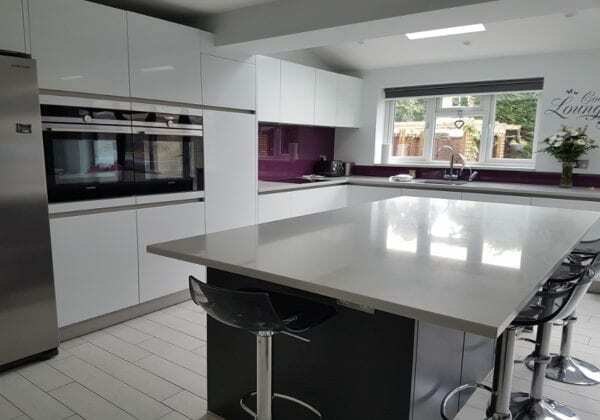 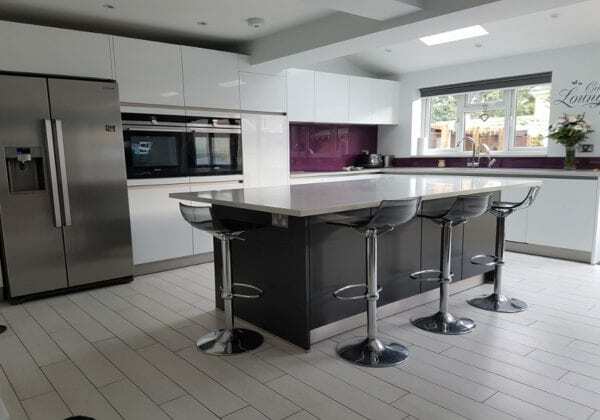 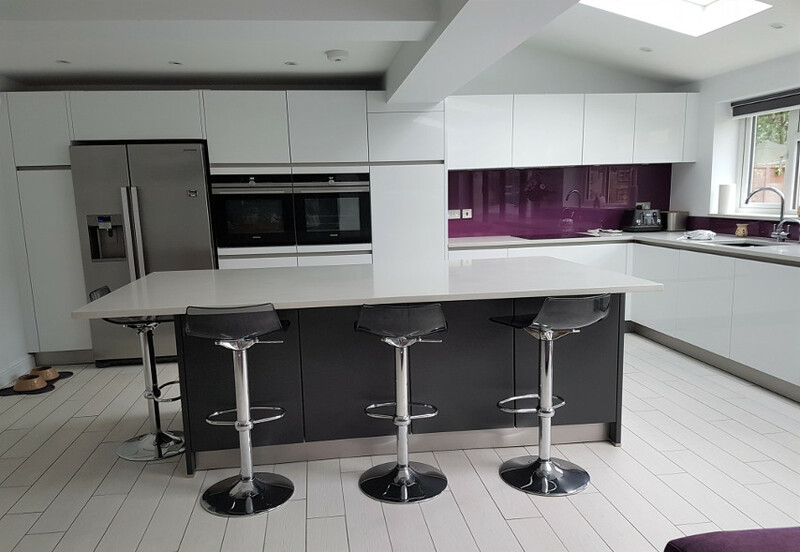 The glass splashback in dark rich purple adds essential colour and vibrancy to the white and black design. 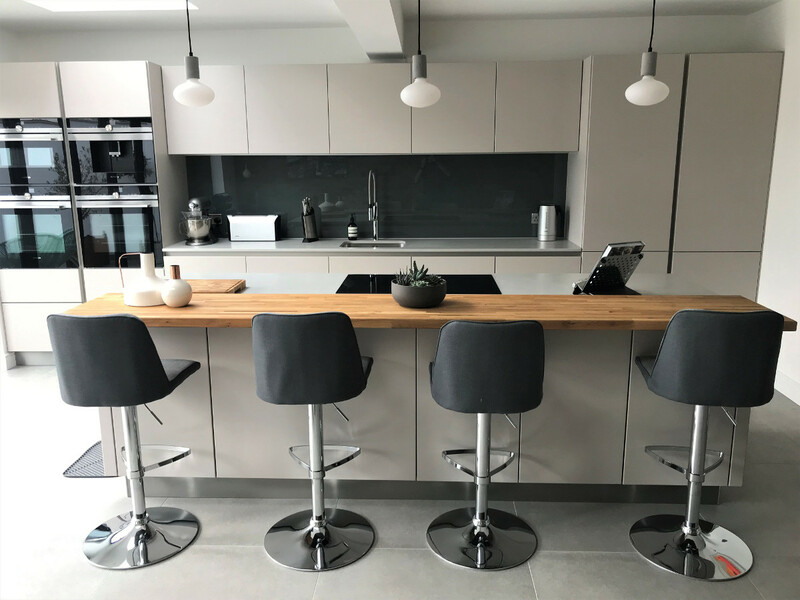 The worktops are 30 mm quartz stone in White shimmer with an l-shaped breakfast bar overhang of 300 mm with seating for 4/5 people.